Virtually all Houses of Worship have permanently installed Public Address Systems for amplifying speeches and musical programs. These systems fall short for the hard of hearing parishioner as well as the parishioner who speaks a foreign language. Global Equipment Network, Inc. provides audio systems to help fill the gap and provide a function the PA system cannot perform. 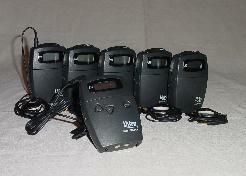 The first of these systems provides Assistive Listening for the hard of hearing parishioner. The second system provides interpretation (translation) for the foreign language speaking parishioner. 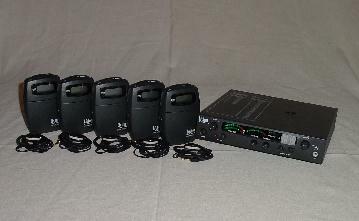 An Assistive Listening System provides the hard of hearing parishioner with a wireless belt-pack receiver and earphone. They are able to adjust the volume on their receiver and listen to the service at a comfortable volume rather then strain to hear the service. The system is easily integrated into any existing PA system and will provide excellent sound quality for the hard of hearing parishioner.